It’s the land from down under that’s had a less enthusiastic attitude towards Eurovision than its Australian neighbours. But things could be changing with the news that New Zealand‘s national broadcaster Television New Zealand is investigating involvement in Eurovision Asia. Last week, the European Broadcasting Union confirmed plans to launch an Asia-Pacific version of its popular European song competition. While no countries have formally confirmed for the Asia-Pacific contest, several have expressed interest — and now New Zealand joins that list. A TVNZ spokeswoman said the company had been looking into joining the Asia-Pacific competition, but she added it was early days yet. The competition was understood to be a while off, and TVNZ’s spokeswoman said no details had been finalised between the station and Eurovision organiser. While it’s not quite a “hell yes!”, it is the most enthusiastic a New Zealand broadcaster has been towards Eurovision in many years. Australia may have been broadcasting Eurovision for well over 30 years, but on the other side of the Tasman Sea, the contest barely registers among New Zealanders and does not currently have a local broadcaster. But there is a small, enthusiastic and growing Kiwi Eurovision fan base who are thrilled at the idea of their country being among those debuting at Eurovision Asia in 2018. The closest New Zealand has previously come to Eurovision involvement was earlier this year when a New Zealand winery was selected as the official wine supplier for Kyiv. And way back in 1979, New Zealand won the inaugural (but short-lived) South Pacific Song Quest. The Eurovision-inspired competition was won by young Maori singer Tina Cross with “Nothing But Dreams”. There’s no doubt that with a potential international audience in the millions, participating in Eurovision Asia will be a huge opportunity for the chosen artist and will show off the best of New Zealand’s music industry. There’s more to New Zealand popular music than Lorde, y’all! Who would you like to see represent Aotearoa New Zealand at Eurovision Asia? Let us know your favourites in the comments below! The fact that this broadcaster has just only just sounded interested shows that they have not even been approached by Australian organisers. Australia does not want NZ in the completion it seems, they are after the bigger fish that are really in the Asia region, those that can pay the hefty fees. hi Stephen, a little confused by your comment… bigger fish? You mean like Vanuatu and Solomon Islands? As far as I know New Zealand is one of the few countries in the developed world that has financial surpluses. They have money to burn. And a heap of talent. Anyway what makes you think Australia is in charge of this? “Send Lorde” is in the same vein of sending Adele, Stromae, Sia, etc. a.k.a. Not gonna happen. At best she could be the Eurovision Asia equivalent of Justin Timberlake doing the interval act. What about Maisey Rika? I think she’d be cool! I really like her song Tangaroa Whakamautai! KIMBRA, pleeease, she is amazing!!! The first time I heard “Aotearoa”, I thought it would have made for a great ESC entry for NZ. Stan would be so good! Te Vaka would also be great. What would you think about them as the act for Samoa? You mean Russ Le Roq! Do you have a source for this? All we’ve seen is that the broadcaster is interested, but that there is not yet a national television broadcaster in the Solomons. I checked out all of those sources and none of them say that the Solomons have confirmed. They don’t even have a national television broadcaster, which seems like the first step. sorry Robyn I wasn’t 100% correct as you said they have an intrest, but I guess it’s the same as for New Zealand. :) I had same sources as Carin Trano. There’s the Bedingfield siblings, Willy Moon or my favourite, the Flight of the Conchords! Not realistic choices granted, but I’d like to see something uniquely Kiwi. 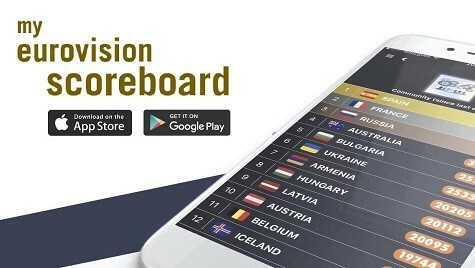 This has probably been asked before, but when Asia vision happens, will Australia take part in both or on contest? And are other Oceania countries welcome to join, like Fiji? Naked and the Famous or Broods.